Since the Secure Layer (SSL) Protocol was adopted by Netscape in 1994, SSL Certificates have grown into an almost unbreakable force. Still, many so-called experts spread SSL Certificate myths all ove the internet. Today, cracking the SSL encryption is beyond human capability. Millions of websites around the world use SSL Certificates to protect the visitors’ data. Even Google gives a SEO boost to everyone who makes the switch from HTTP to HTTPS. If you’re new to the SSL Certificates industry, then filtering the amount of disinformation on this topic may be quite difficult. That’s why we’ve decided to step in and debunk once and for all the most common SSL Certificate myths. Contrary to the statement, SSL Certificates are one of the best investments web owners can make in their websites. What other product can secure visitors personal information, increase the level of trust, but also offer a SEO boost on top of that? No matter how tight is your budget, at SSL Dragon you’ll find the cheapest SSL products on the market. If you buy an SSL Certificate from us we provide tools such as CSR Generator and CSR Decoder to ease the process. Certificate Authorities provide additional step-by-step guides on how to install them on a specific server. 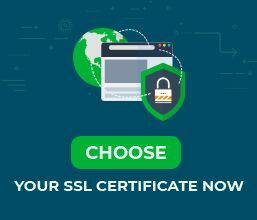 When switching hosting servers, your SSL Certificate becomes invalid. All you have to do is reissue your SSL in your provider’s management console for the new server. Securing only your login or payment page is not enough. Your contact page, email subscriptions and other filling forms may be subject to attack if left unsecured. Your connection becomes particularly week if someone accesses the site from a public WiFi network, available at malls, airports or restaurants. SSL Certificates are very versatile, and people often underestimate their potential. A Wildcard SSL Certificate allows you to include an unlimited number of subdomains under a single IP address. It’s the perfect solution to secure both your primary domain and all the subdomains as well. All SSL Certificates, from cheap Comodo ones to high-end Symantec products adhere to the same regulations and security protocols. Today the magic numbers are 2048-bit key encryption and up to 256-bit certificate encryption. SSL Certificates offer significant SEO improvements and a competitive edge if you configure them in the right way. The majority of SSL Certificates owners, mistakenly think that by just installing the SSL Certificate on their website, the SEO rankings will skyrocket, when a couple of adjustments are also necessary. SSL Certificates encrypt the data passed between the users’ browser and the website’s server. 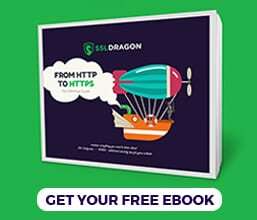 Hackers can easily bypass the secure connection and inject malware or steal content from your website because your site may be vulnerable on other areas which an SSL Certificate doesn’t protect you at. To prevent this from happening, add several security layers to your site such as security plugins and daily malware scanning software. In conclusion, SSL Certificate myths won’t probably go away anytime soon. There always will be voices minimizing SSL significance without giving substantial reasons or arguments. With this in mind, you should use SSL Certificates with absolute confidence, as they are the only viable option for encrypting sensitive data online.